That is normally the pipe & wire positions on most Tritons. 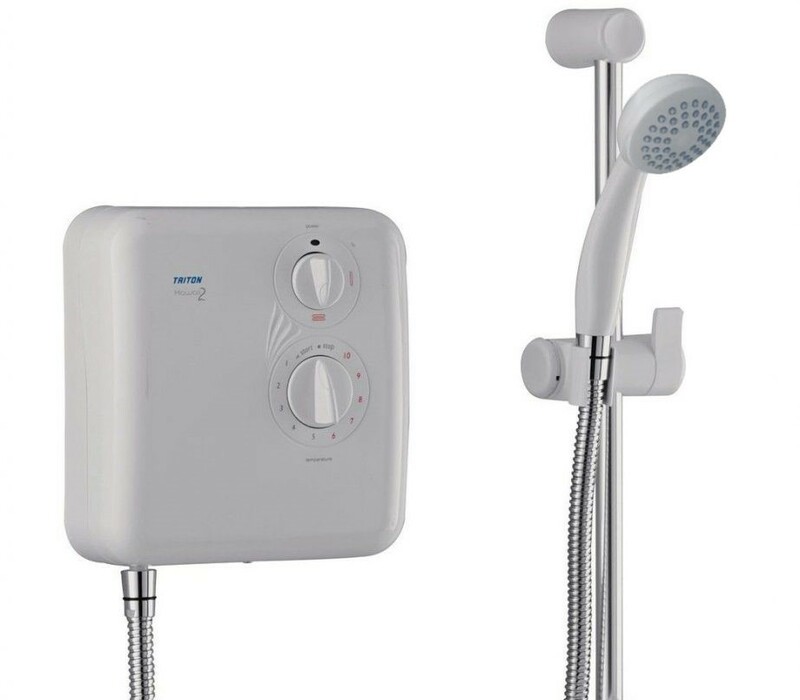 IF it is not possible to fit this shower, the location of the inlet pipe or wiring position for example, we will fit for you a Triton Enrich 8.5kw which we will charge £149 - £20 discount off our normal supply and fit price. Fitted £99 ! - While stocks last. We only have the 8.5Kw left in stock so jump in quick ! Same positions apply for the electric cable. Why are they so cheap ? They may have a slight blemish on the casing - nothing serious but just enough not to command top price. 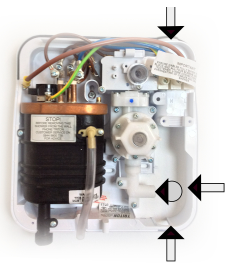 They have never been fitted or used and come to us direct from Triton - we offer them with full Triton 12 month warranty supplied and fitted £99 - We only have the 8.5kw in stock. Save yourself £70 ! Call us to order this !